Do you know the exact number of deaths caused by weed? Zero - that’s it. But does it mean you can’t overdose on marijuana? In fact, you can, but luckily for you, the symptoms are mild and short-lived. Learn what happens when you overdose on weed. 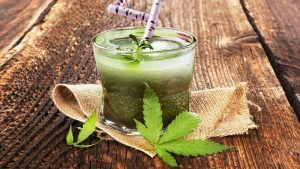 The stigma around cannabis as a result of misguided prohibition has given rise to a number of misconceptions around weed. Marijuana was represented as being a dangerous plant that made people go crazy, overdose, and die — all the time. Meanwhile, there has been no record of any marijuana-induced deaths. Even peanut allergies have killed more people than weed. But can you overdose on marijuana? Of course; and today, it’s way easier to go overboard with selectively-bred cannabis strains than during your parents’ youth. 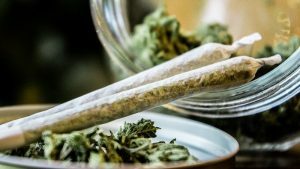 Before we discuss weed overdose, its symptoms, and how to deal with them, let’s say a few words about how the potency of weed has changed in recent years. The same phrase may have a different meaning depending on who articulates it. So, when someone in their 50s says “high-potency marijuana”, they probably mean that ultra strong ‘reefer’ with 5% THC content. Now, ask a millennial to define “high potency marijuana” and you’re going to hear such names as King Tut, Gorilla Glue, Pink Starburst, or Godfather OG — all of which have upwards of 30% THC. Weed has been selectively bred to become better — just like other crops. Today, the yields are not only bigger but also more potent than several years ago. On the one hand, this is good because you don’t have to pack the bowl as generously as your older friends used to. 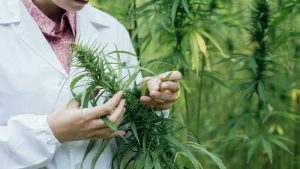 On top of that, modern breeders are able to get way more out of the cannabinoid and terpene content from their strains than they would several years ago. But on the other hand, more potent weed makes you more exposed to the risk of overdosing. Technically speaking, you can have an excessive dose of weed, but whether or not it’s dangerous is up for discussion. For some people, even mild anxiety, dizziness, and impaired motor skills may be enough to feel paranoid about the effects of weed. That being said, although you can’t FATALLY overdose on weed, it’s possible to experience adverse reactions and feel bad afterward, so yes — weed overdose is real. When THC enters your body — most commonly it happens through lungs — it travels in the bloodstream to attach to cannabinoid receptors in the body and brain and produce a range of physical and psychological effects. When these receptors are stimulated, a person may feel relaxed, euphoric, stress-free, and hungry because THC mimics the actions of anandamide, a naturally produced cannabinoid which controls a range of biological functions. Perception of fear is one of such functions. When there’s too much THC in your bloodstream, your brain gets fooled to thinking that more anandamide is being released. The intense production of anandamide is linked to an incoming danger, which is why people often feel anxious without a specific reason after consuming too much weed. THC in the bloodstream is typically measured as nanograms per milliliter (ng/ml) and tells us how much THC there is in a milliliter of blood. Considering the legal status of weed across the world, marijuana doesn’t have a clear definition of overdose. We can’t even tell how much THC is enough to get a user high. It depends on a range of different factors, such as the user’s tolerance to THC, the frequency of cannabis use, body weight, metabolism, age, lifestyle, and more. Despite being much safer than other substances people use for recreational or medical purposes, weed can still affect you in extremely high doses — making you more agitated, anxious, and uncomfortable. Below we present the list of short-term symptoms of weed overdose. Fortunately, they’re short-lived and can be easily avoided simply by taking your intake of marijuana in moderation. Short-term symptoms of weed overdose are often referred to as “greening out”. The most common cause of greening out in inexperienced marijuana users are weed edibles. As edibles take longer for the THC to produce its effects, new users often consume more weed than if they were to smoke it. What they don’t realize is that once the effects from all those edibles accumulate and kick in, the euphoric high can transform into a state where you actually start to feel miserable. Everyone reacts differently to high doses of weed. While some people are naturally predisposed to handle high levels of THC, others aren’t so lucky. People have a different tolerance for THC and thus greening out is not a regular phenomenon. What can make for a great buzz for one person may prove way too much for another one. 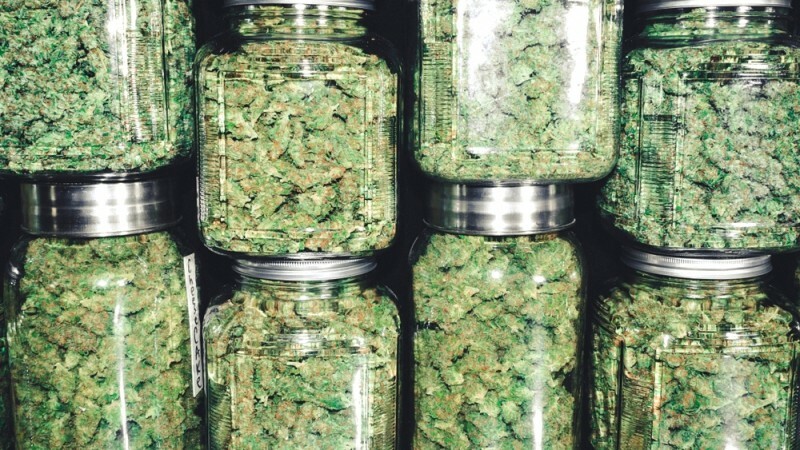 If you’re new to marijuana, don’t try to impress others with how much you can smoke. Just take a little amount — you know, a quick puff-puff-pass — and see where it gets you. This way, you will give yourself some room for ‘improvements’ without increasing the risk of greening out. As you begin to build up a tolerance to THC, you will eventually need more weed to achieve the same effects. Aside from the frequency of use, your tolerance is determined by your body weight and metabolism. Also, smoking on an empty stomach potentiates the effects of marijuana, which increases the chances of overdosing. It’s also important to choose the right consumption method. Smoking or vaping weed brings up the effects in as little as 5 to 15 minutes making it easier to control the dosage. Edibles, on the other hand, have a delayed onset time, so new marijuana users may be tempted to yum on that extra weed brownie to feel something. However, that brownie may prove one too many and lead to the adverse reactions we’ve just talked about. When choosing edibles as your go-to consumption method, keep in mind that it takes some time for THC to reach the bloodstream in this form. If you can’t feel the effects, make sure you’ve waited, at least, 2 hours after ingesting the weed edible. A marijuana overdose is a far cry from being dangerous when compared to other substances. However, easing marijuana overdose symptoms can be challenging because a person needs to deal with someone whose mental state has been temporarily weakened. In case one of your friends greens out, make sure that they’re breathing deeply and stay hydrated throughout the duration of the side-effects effects. Don’t leave the individual alone and allow him to rest for a while. Check if there are any signs of difficulties in their breathing. The overdose may cause the individual to become white-pale and unresponsive, which is an indicator that you should call 911 for assistance. Alternatively, the user can reduce the negative effects with a strain that is rich in CBD, the non-psychoactive compound of cannabis. CBD can temper the effects of taking too much THC and curb anxiety and panic-driven behavior. The best thing you can do to help a greened out person is to calm them down and focus on their breathing. Explain why they may feel uncomfortable and reassure them that these effects will soon pass. Eating a hearty meal and drinking lots of water when the high gets too intense may come in handy as well. Some studies show that marijuana can become toxic at doses of around 800 mg/kg orally, and around 105 mg/kg when smoking. The average male would need to smoke 8400 mg of pure THC or take 65,000 mg orally in order to overdose. That’s a 96 gram joint, or over 100 bottles of high-potency marijuana oil — taken within a single hour. Even Snoop Dogg isn’t capable of getting close to this threshold. Some substances don’t require high doses to cause death, and yet, no one has ever had a fatal experience with weed in the history of marijuana consumption. “How come?” you may ask. The main reason you cannot fatally overdose on marijuana is that the THC along with other cannabinoids are absorbed mainly through cannabinoid receptors in the body. Unlike their opioid counterparts, cannabinoid receptors aren’t located in the brainstem areas responsible for controlling respiration. Given this, too much marijuana can’t kill you no matter how hard you try. Marijuana is far less addictive than other drugs. For example, only 4-9% of marijuana users can develop substance dependence compared to 15% of alcohol drinkers who become dependant on booze. 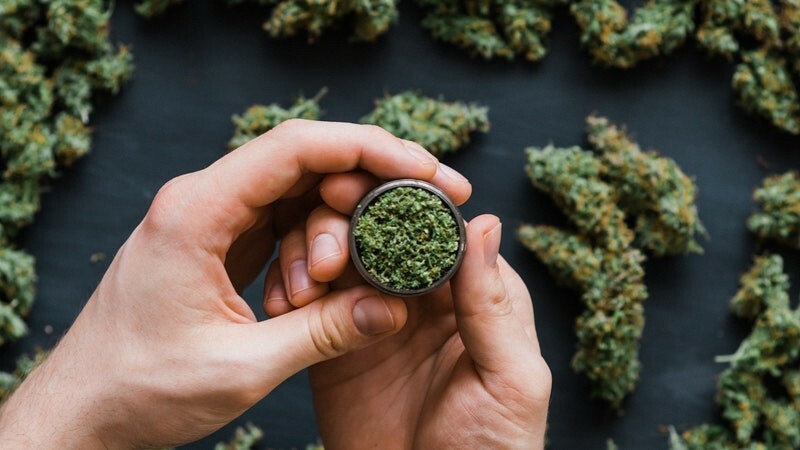 The above long-term side effects a user may experience are mild and short-lived, but there’s something worse than that — cannabis withdrawal symptoms. Once you suddenly decide to go cold turkey, you may experience changes in sleep patterns, restlessness, fatigue, irritability, and lack of appetite. These withdrawal symptoms can bother you for up to 3 days and are nothing compared to what happens to heavy alcohol drinkers and opioid users. Going over the edge with weed doesn’t come with such fatal consequences as overdosing on other substances, such as alcohol, opioids, tobacco, or other drugs. However, this doesn’t mean that overdosing on cannabis is entirely risk-free. In fact, many people end up in emergency rooms after going overboard; this applies mainly to inexperienced users who are unaware of their low tolerance to THC. 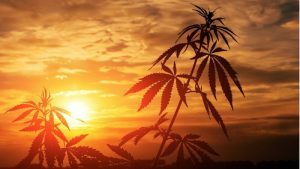 Having too much THC in your system causes it to overstimulate cannabinoid receptors in the body and brain, inducing a range of adverse reactions, both physical and mental. More often than not, you can ease the symptoms of a weed overdose without calling 911. Just take several deep breaths, try to redirect your thoughts to some pleasant memories, and most importantly, talk to your friends about your concerns — they will help you calm down and put an end to the running thoughts. Weed is much stronger than it was 20 years ago. 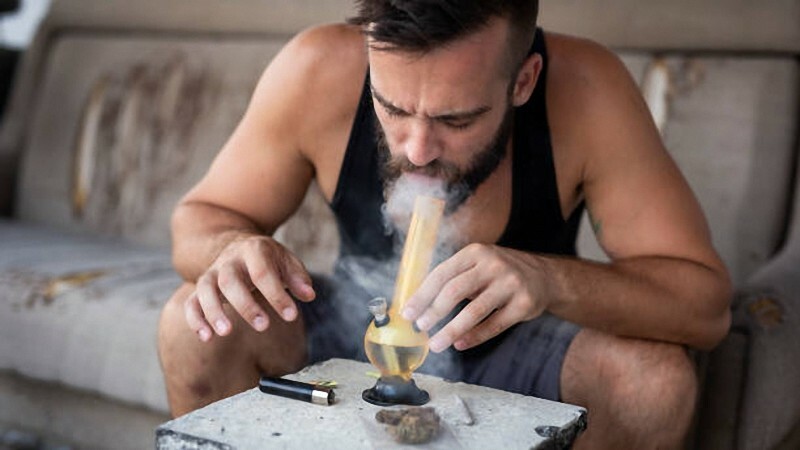 Average THC levels have tripled since then, so when approaching the herb for the first time, do it slowly but surely instead of ripping a fat bong during your initiation. Have you ever overdosed on weed? How did you help yourself at that time? Share your stories!